Generosity of spirit is a state of being: a state that is free of fear and without the need to ration. It is a state of endless abundance. Our relationship to this state of being can be nourished, fed, supported, and developed. When truly authentic, it comes with no strings attached and results in naturally sustainable ease and joy. It might take a conscious mindful practice to cultivate an intimate relationship with the state of generosity of spirit. A helpful mindfulness practice can entail a small pause between realizing something and reacting. Reminding ourselves that we have choices and do not need to follow into full fruition every reaction within us. 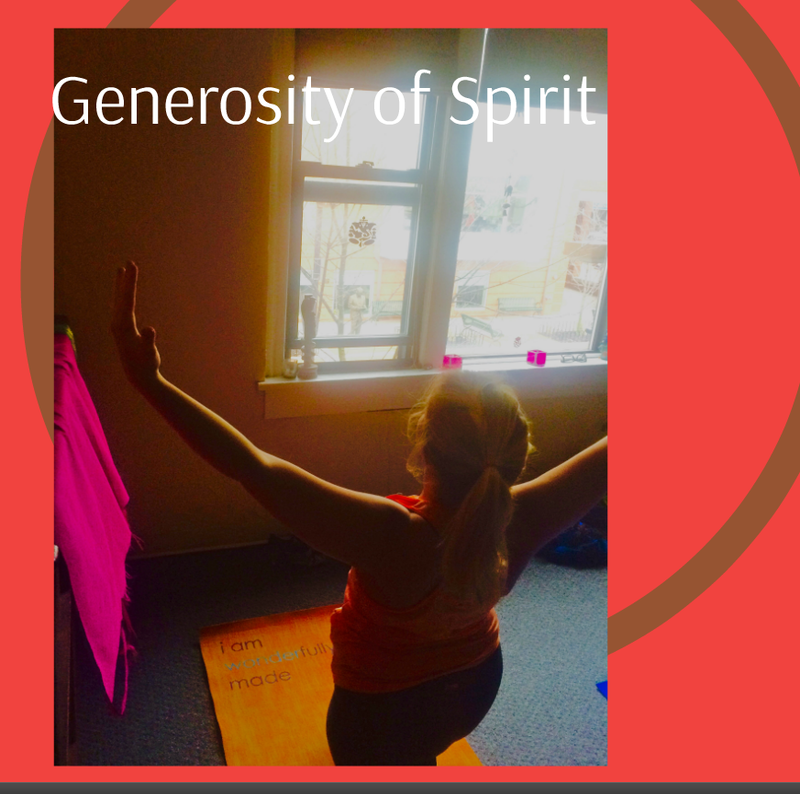 We can pause, take a deep breath and a slow exhalation… Reminding ourselves that generosity of spirit exudes in every direction, including toward others and toward our selves. As we resolve to New Years intentions, let us be within this holiday season with the generosity of spirit. May we let it loose and wild into our lives without looking to harvest from its benefits.